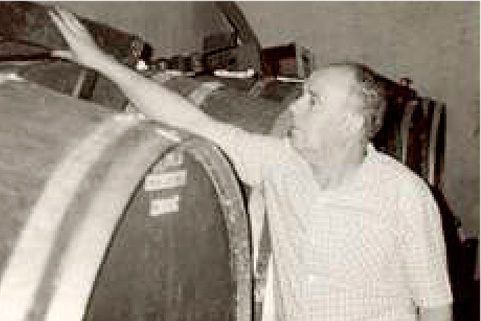 Our experience in this exciting wine world starts back on the year 1949, when Manuel Gómez, my father, opens in Sant Cugat del Vallés a small wine retail business. In 1992 with the new generation we give a new view to the family business. We open a wine shop, with a wide range of brands and DO’s and also a small restaurant. After some years, in 1998, we decide to start a new project making our own wines. We studied the different DO’s to know which one matches with the character we want to give to our wine. 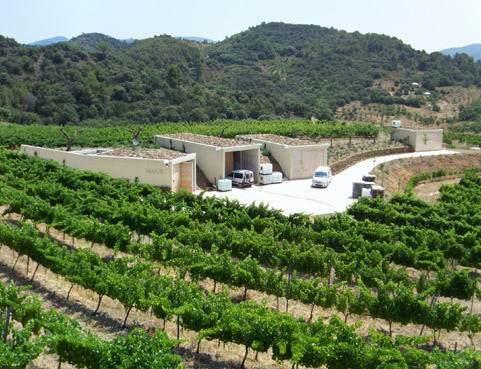 At last we opted for the Qualified DO Priorat for its great prestige in making great wines. 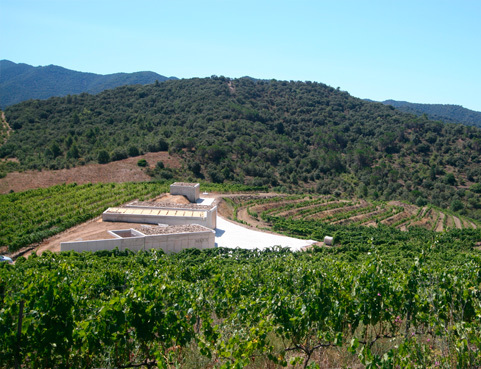 We then bought a piece of land in the municipality of La Morera de Montsant, in the site named Barranc de la Bruixa and for the design and land planning we have the invaluable help and technical advice of the prestigious wine maker Joan Milà. His son, Eloi, is who takes care of the wine design and elaboration. On 2004 we had our first vintage. 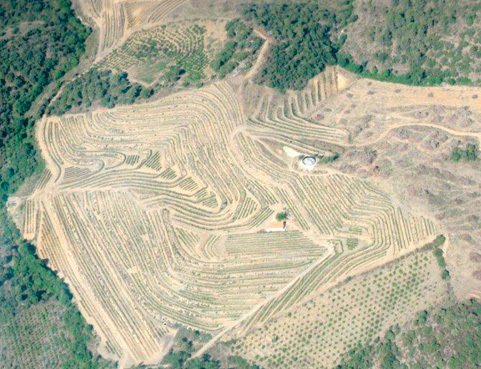 The property is located in the site called “Barranc de la Bruixa” which means Cliff of the Witch, in the municipality of La Morera de Montsant in the Priorat are of Catalunya. The property is south oriented, the soil is a mixture of calcareous stone, gravel, rocks and of course licorella.The vineyard is composed by low yield old vines, narrow trunks and elevated circus which need less irrigation and give to the wine a very special character. During the wine making process, we only use our own grape, mainly picked of seven or eight year vines together with some older ones that where there when we bought the property. At the middle of this place we find our cave, integrated in the environment, working with solar energy and rainwater. The 85% of the place is underground so this helps to stabilize the interior temperature in 15º. The wood doors, concrete walls and flat cover made of stone of the excavation, are all material that will age nicely and end fully integrated in the landscape. 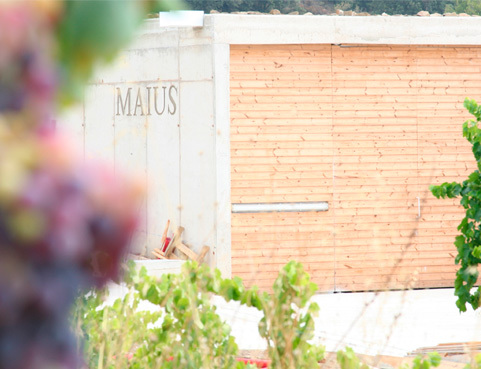 Maius Viticultors belongs to the well known Origin Denomination Priorat, from Catalunya. 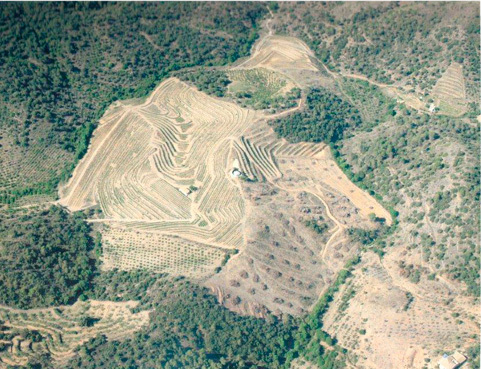 It is a small area, as it doesn’t arrive to 20.000 ha, with only 1.600 ha of vines. 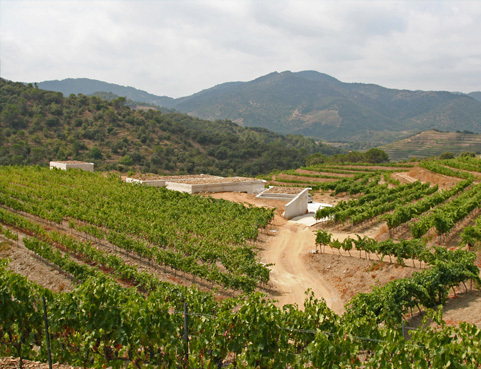 Its orography makes the raising of the vines very complicated, hard and expensive. In this way the vines produce little grape if you compare them with other wine areas. But it worth this extra effort as this land offers an exceptional grape that in the hands of the passionate winemakers, after the years, has become one of the world well known wine areas for its highly character and extraordinary complexity. 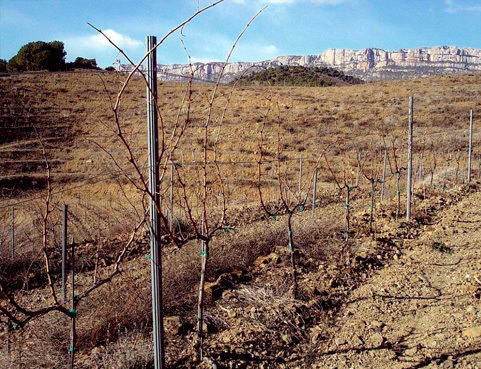 Ancient and new wineries, old and new plantations coexist together in this small territory of the south of Catalunya in a clear bet for the Priorat area. 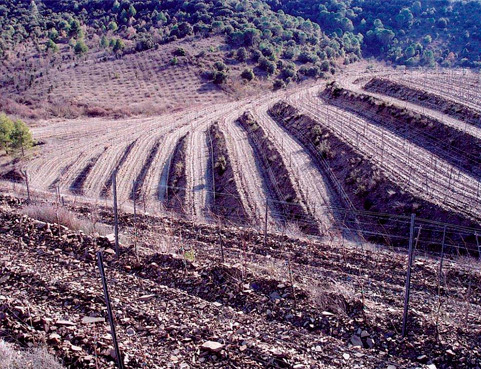 Even not being an easy land, that doesn’t give you anything for free, it has seduced connoisseurs and enthusiasts wine lovers amazed with the licorella soils.